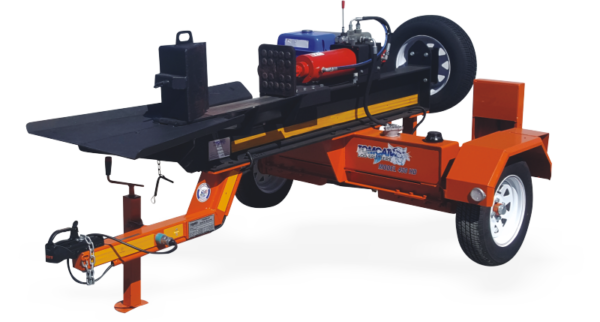 A heavy duty main frame, fitted on a SABS roadworthy trailer with a spare wheel makes the Model 450 LS the ultimate splitting machine. 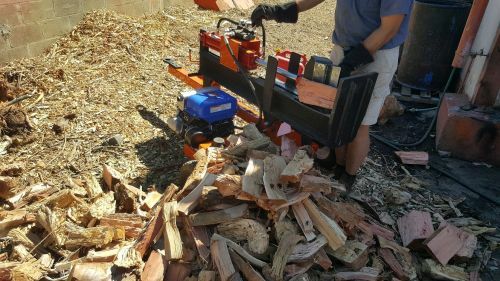 The same engine and 15 ton hydraulic cylinder with up to 400 Bar of pressure is used to split any type of wood. 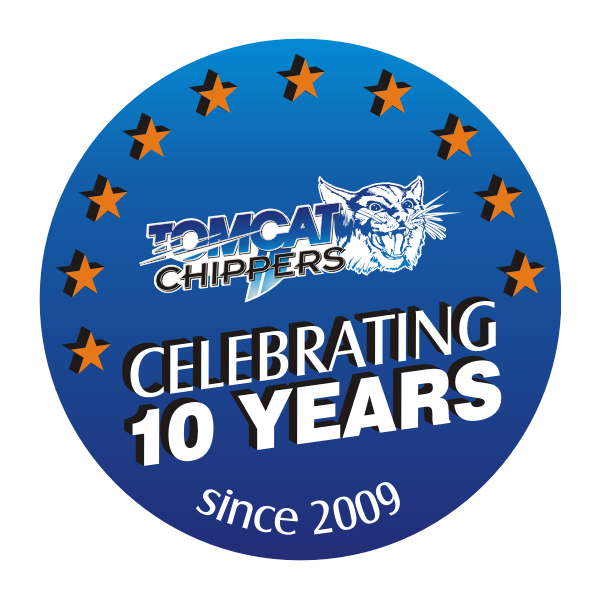 Fitted with a 40 Liter Hydraulic tank to ensure proper oil circulation during a full day of operation . A single blade is fitted standard and a 4 way split attachment is an optional extra. 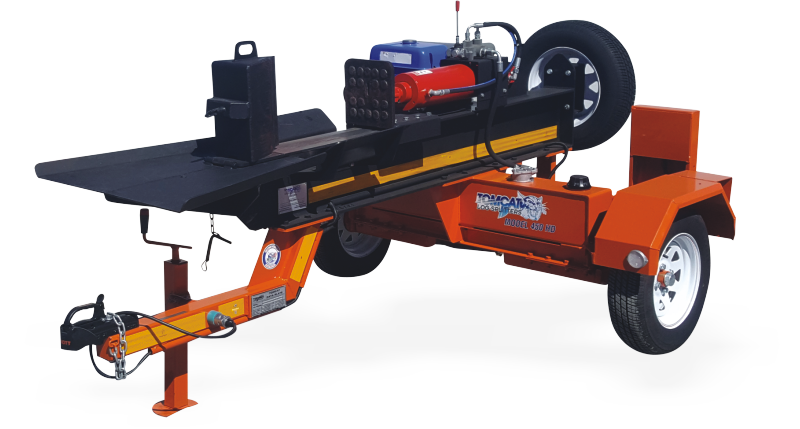 This machine is easy to move around and extremely easy to operate and requires very little maintenance.